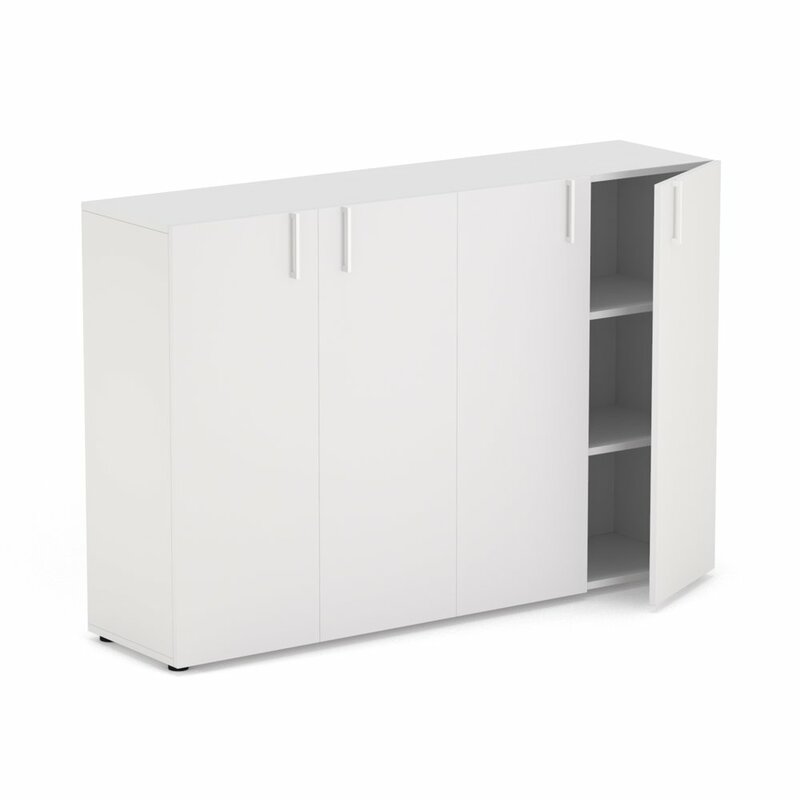 Cabinet with four doors. Available in melamine, laminate and veneer. Handle made of painted steel. With or without lock. Can be placed separately or at the end of two 80cm wide desks placed against each other. This is cabinet #25 in the O2 Straight Storage series of minimalist office storage. Visit our CAD section to download DWG’s of each model.